Established in 1963 Genlab currently employs approximately 40 people at its headquarters in Widnes, Cheshire. 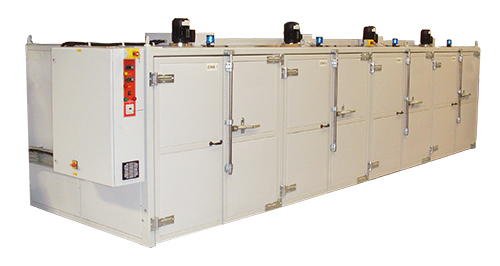 Industrial oven and incubator manufacturing is at the heart of the business and all our units are manufactured in the United Kingdom. Whether you want a standard product, a completely bespoke design, Genlab prides itself on its ability to tailer products to meet every customers requirements. Still privately owned, the company has grown significantly in recent years. This is as a result of a clear focus on providing the service and quality levels that our customer’s demand, at highly competitive prices. The annual turnover of the business is currently around £2.8 million and 2013 was a very special year marking Genlabs 50th anniversary. Alongside this many of our staff are long serving members, with an enormous wealth of experience in bringing thermal engineering to the customer. Quality has always been at the centre of Genlabs business activities and the company has held the BS EN ISO 9001 quality standard for over 15 years. For further information please visit the Quality section. Genlab continues to innovate and improve its product range and has recently made significant strides to minimise the environmental impact its products have. For further information please visit the Environmental page. If you are not currently using Genlab products, we look forward to supplying your requirements, enabling you to join our list of satisfied customers worldwide. Please Call us on 0151 424 5001 to discuss the best option for your business.